Give in to your cravings. Indulge and enjoy. Now you don’t have to choose between a creamy gelato or a lovely energizing drink. Have them both. Shake up your day with our mouth-watering gelato shakes. Create your own heavenly blend of rich creamy goodness with a gelato based shake. 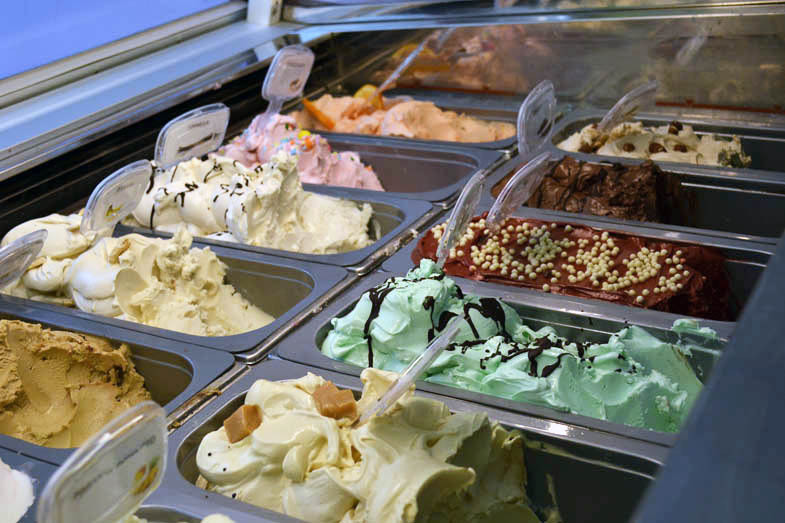 Or choose one of our signature gelato shakes or sorbetto shakes to give your taste buds an unforgettable experience. Take a look at our gelato flavours and come in to make your own unique gelato shake blend of goodness in a glass. Light and refreshing, and expertly blended, let The Perfect Scoop give you all the ways to shake up your gelato experience. 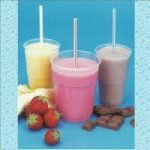 If you prefer sorbetto, we can make a shake with your favourite flavours too. Get a crisp and enjoyable sorbet shake. The flavour possibilities are endless. Made-to-order they are nice to look at and even better to drink. The secret to our milkshakes – our gelato and sorbetto are made fresh every day. With less fat content than ice cream, you can enjoy our gelato milkshakes as often as you like with none of the guilt. Enjoy seasonal specialities with our locally sourced ingredients. Great tasting real smoothies with a delicious blend of fruits and flavours. Thick and creamy. Just perfect. Cool and concentrated. Sorbetto Shakes or Gelato Shakes. Let us whip up a deliciously yummy glass for you. 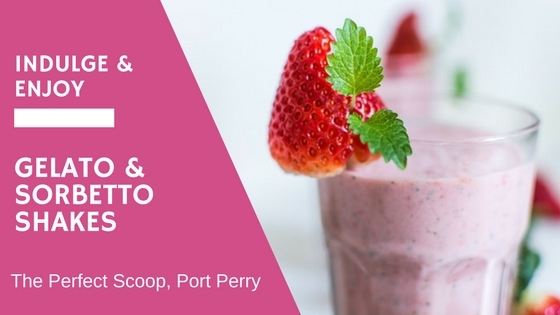 Get your perfect refreshing glass of gelato shake at The Perfect Scoop, Port Perry, ON. We are your independent and locally owned gelato shop for all the delicious and healthy goodness in a cup. Shop local. Come in and have a refreshing glass of quality real fruit gelato shake on the go. Join our rewards program and reap the benefits. Visit Us or follow us on Facebook and Instagram for our latest creations.